When the 1970 model year rolled along it was becoming clear that the GTO was beginning to lose its sales momentum. The problems with GTO sales were the rising sticker price of a GTO, higher insurance costs, and competition from its Pontiac brother – the Firebird. Unfortunately this was only the beginning of hard times for the muscle car and for Pontiac’s flagship performance car, the GTO. Never-the-less the future for the muscle car and the GTO still looked bright when the 1970 model year began. It was like Wall Street in 1929 before the big stock market crash. The 1970 GTO had an attractive restyled front-end treatment that had a quad headlight design now separate from the dual front grilles and embedded into the Endura front bumper. This was a great styling touch along with the new fender creases found on the top of each wheel well and the revised rear bumper and taillight design. The 1970 GTO’s optional Judge package and engines were carryovers from the 1969 model year – these included the 350 gross horsepower 400 cubic inch V8, 366 gross horsepower D-port Ram Air III 400 cubic inch V8, and 370 gross horsepower round-port Ram Air IV 400 cubic-inch V8. The exception was the introduction of a new 360 gross horsepower 455 cubic-inch V8 engine which had an astounding 500 lb-ft of torque. For 1970 the most popular GTO engine and transmission combination was the standard 400 V8 and the 3-speed automatic transmission. The GTO for 1970 was heavier than previous GTOs and it was also the most upscale GTO ever offered with a whole host of available options. The 1970 GTO Judge came standard with the Ram Air III 400 while the Ram Air IV 400 and 455 were both optional. 40,149 GTOs were produced for 1970 (3629 were Judge hardtops and 168 were Judge convertibles), the overall GTO production count was almost half of the previous year, not good news for the future of the GTO. 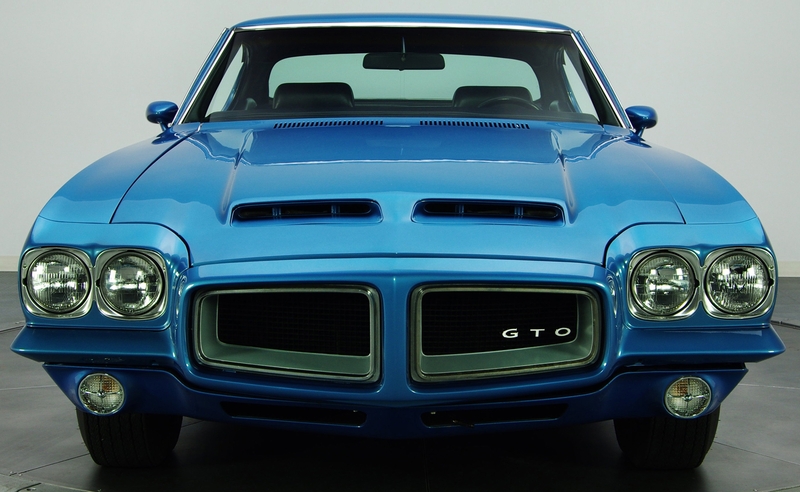 Pontiac’s 1971 GTO had a revised front end with a new headlight and Endura treatment that made the GTO look even more upscale. The 1971 GTO was still one of the fastest performance cars available in 1971. The GTO also had best in class handling and had fantastic looks. Unfortunately sales were not reflective of these facts. GTO sales like all its muscle car competitors had taken a massive nosedive. And the news got worse, 1971 would be the last year for the Judge option package and the convertible option which had been with GTO since its birth was also biting the dust. The high compression V8s offered with the 1970 GTO and Judge were gone for 1971 but high performance still remained. 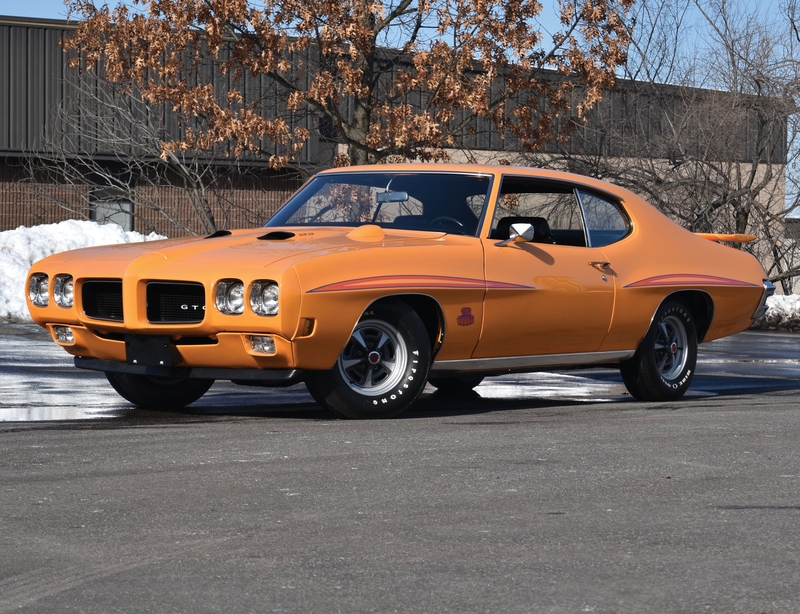 The low compression D-port 400 and 455 V8s (rated at 300 and 325 gross horsepower respectively) though lower in horsepower than their high compression 1970 counterparts, still did provide the performance GTO buyers were accustomed to. 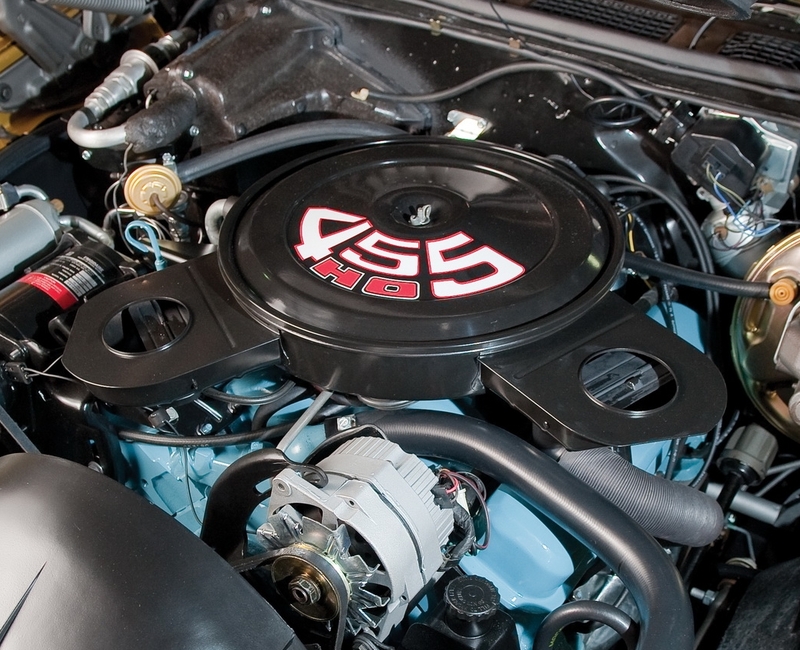 If a buyer required a few more ponies under the hood there was a new for 1971 round-port 455 HO V8 that was conservatively rated at 335 gross horsepower by Pontiac. The 455 HO was the 1971 Judge’s only engine. The 1972 GTO was mostly a carryover from 1971 with the only cosmetic changes being: a very slightly revised dual front grille design, new front quarter panel lower side air extractors behind each of the front wheels, a new front parking light lens design, and new dual chrome splitter exhaust outlets which expelled the exhaust directly behind both rear wheels. All 1971 engine options carried over to 1972. Like all 1972 to current cars, horsepower on the GTO was now rated in more stringent net horsepower ratings instead of the previous gross horsepower ratings. Net horsepower is the total horsepower output measured at the flywheel. The new net horsepower ratings of the GTO’s engines were as follows: the base 400 V8 – 250 horsepower, D-port 455 V8 – 250 horsepower, and round-port 455 HO V8 – 300 horsepower. For 1972, the GTO was back to being an option package not a separate model. 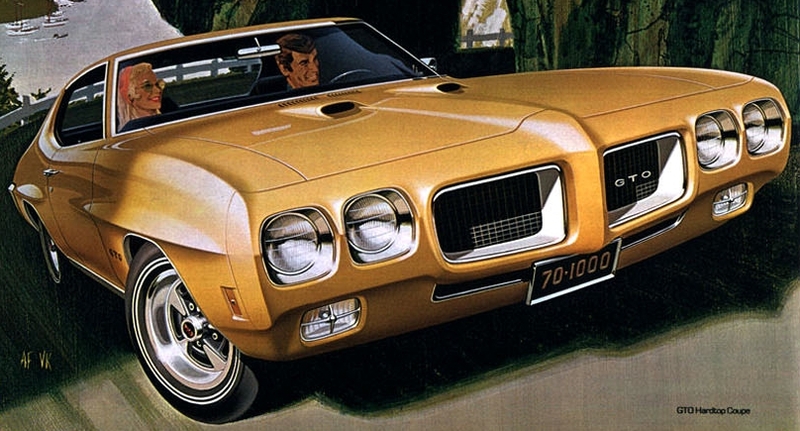 The 1972 GTO was now officially a Pontiac LeMans with the GTO package. Sales of the 1972 GTO were pretty dismal at only 5,807 units. It was a sign that the golden era of the muscle car was officially over and the GTO would soon be put out to pasture.